These engaging, fast-paced 15 minute presentations identify a common AV problem and highlight a brand-specific solution. 3PM EST Some of the most challenging spaces to install audio are in houses of worship. Facility layout, materials used, and program type all factor into the design. New technologies now allow shut-ins to attend services remotely. Join us as we discuss this interesting market and approaches to successful installations. 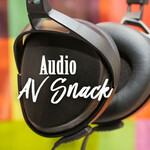 AV Snack: Get in the zone with our audio zoning tips! 2PM EST Many rooms, many audio sources, many options! In this webinar, Business Development Manager, Steve Alexander, will review the needs, challenges, and options available for zoned audio within a facility. From day spas to restaurants & bars, many businesses provide background music, play-by-play audio and even live audio events within their walls. The ability to effectively route audio throughout the facility gives the owner greater control of his customers’ experience. What we will cover: learn when a zoned audio solution is required, identify challenges of varying audio throughout a facility, explain different control options, and summarize solutions available. 2PM ET Step into any office nowadays and chances are you’ll find a huddle space—and it’s even more likely that the audio system in there isn’t getting the job done. How can technology help you improve the huddle space experience for both the near and far end? We have the answer, and you can learn all about it in this webinar. Topics covered: the huddle room as collaboration space, huddle room technical challenges, and solutions to enhance communication and collaboration, including the Biamp Devio and AMX Sound bar. Don’t miss this opportunity to get up to speed on the best small huddle room solution available today. Register now! Audio Solutions for Conference Rooms - Small, Medium, and Large. 2PM EST 2PM ET Conference rooms come in all sizes. From six seat huddle spaces to executive boardrooms, each has its’ own unique challenges and Almo has solutions for all of them. Join Steve Alexander as he discusses the various differences and challenges for each. Government entities are varied and have requirements unique to their mission. Agenda creation, voting, time-stamped audio documentation, and simultaneous interpretation are requirements needed outside of the normal conferencing space. Join Steve Alexander, ALMO Business Development Manager for Audio, as he discusses the challenges this vertical brings to the integrator/installer. 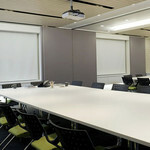 Large conference rooms present unique challenges to the integrator-installer. What should one consider when planning an install? What you’ll learn: the objective of an effective audio install, common room problems, different approaches to quality audio and various solutions. 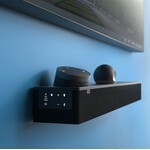 2PM EST The Acendo Vibe Sound Bar is the innovation your customers have been waiting for. It’s the first conferencing sound bar solution designed specifically for both the technical and aesthetic demands of the modern workspace. Robust JBL speakers and microphones deliver crisp and clear audio, a wide-angle camera captures every participant in the space, and professional features like CEC display control and USB and Bluetooth connectivity ensure an optimized experience. 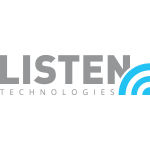 2PM EST Listen Technologies is revolutionizing group communication. In this session we’ll discuss wireless portable two-way communication systems. We’ll dispel commonly held myths about traditional portable RF products, including poor audio quality and limited range, and show you how Listen Technologies out-performs any other system in price, coverage, sound quality, connectivity, and ease of use. 2PMAmazing and innovative signage can be a vital business solution and a smart investment. Whether it's wallpaper-thin OLED displays, ultra-thin bezel video walls or ultra-stretch displays, LG has the product to convert an ordinary environment into a unique and engaging space. 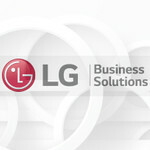 Join Daryl Seese as he covers LG's full-line of specialty signage products and provides you with a comprehensive understanding of just how impactful it can be. And, one lucky attendee of this 15 minute AV Snack will win a $25 Amazon Gift Card, making this snack extra sweet. 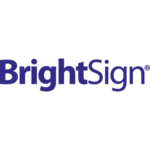 Thursday, June 8th at 2pm ESTJoin BrightSign's Ray Broooksby as he provides a captivating overview of their OPS player and how it translates to your projects. Samsung understands the needs of the custom installer, and we are striving to bring better support to you as Almo Resellers. In today's world of fast paced technological change, you need to know how to get drawings, manuals, firmware updates and other resources... but also who to call for support in designing and integrating products into the systems your customers expect. Our goal is to provide a comprehensive support program for you, and in this 2PM 15 minute AV Snack we will discuss the new support resources available to you and how to access them easily. 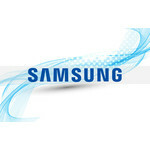 Once again Samsung reimagines how technology fits into your life. The tech company collaborated with Yves Behar, a renowned Swiss designer, to create its latest lifestyle TV innovation, The Frame, to offer consumers an elegant masterpiece that seamlessly blends into the interior of any home. 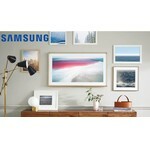 Based on Samsung's industry leading QLED display technology, The Frame TV products combine video and art into a single unit, displaying both TV content and a library of onboard art from around the world. Designed to look identical to static art, The Frame can easily switch to displaying UHD HDR video at the highest picture quality and back to art at the touch of a button. Customized art can be loaded, and the system will match the brightness of the ambient lighting in any space. Join us for this 2pm AV Snack as we explore the features of The Frame and how it can fit into your customers' lifestyles. Because it's not just about TV anymore. Join us for a 15 minute snack where we'll highlight what you missed at our 2016 InfoComm Booth. Think you know IR? Think again! In this session, we’ll discuss wireless infrared assistive listening systems and their amazing benefits. We’ll also dispel commonly held myths about IR, and we’ll show you how Listen Technologies infrared out-performs any other IR system in price, coverage, sound quality, connectivity, installation, and ease of use. Learning Objectives: What is an Infrared Assistive Listening System, and the benefits of IR Possible applications for IR systems Attend & get a chance to win an iLUV Rollick™ Portable Speaker! 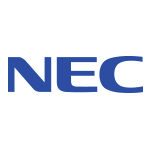 Join NEC's Rich McPherson, senior product manager for NEC Display for Integration Projectors as he reviews solid state light source technology. 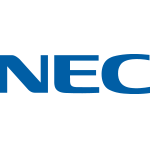 Attendees will come away with a more thorough understanding of SSL technology and how NEC's projector line up fits within this new technology and applicable verticals.Attend & get a chance to win a $200 Gift Card! Think you know IR? Think again! 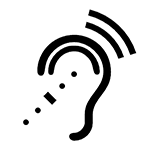 In this session, we’ll discuss wireless infrared assistive listening systems and their amazing benefits. We’ll also dispel commonly held myths about IR, and we’ll show you how Listen Technologies infrared out-performs any other IR system in price, coverage, sound quality, connectivity, installation, and ease of use. 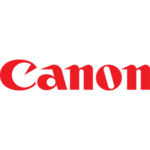 Learning Objectives: - What is an Infrared Assistive Listening System, and the benefits of IR - Possible applications for IR systems Attend & get a chance to win an iLUV Rollick™ Portable Speaker!